You can inherit mutations in the genes known as “BRCA1” or “BRCA2” from either your mother’s or your father’s side of the family. Normally, BRCA1 and BRCA2 function as tumor suppressor genes, producing proteins that help repair any damage to your cells’ genetic information and suppress abnormal cell growth. When a BRCA1 or BRCA2 gene has a mutation, or a “misspelling” in the letters of the genetic code, this repair function is usually lost—increasing the risk for breast, ovarian, and some other cancers. In some families, multiple cases of breast and/or ovarian cancer cannot be traced back to the BRCA1 or BRCA2 genes. Researchers are now searching for other inherited genetic mutations that may be responsible for increased risk. 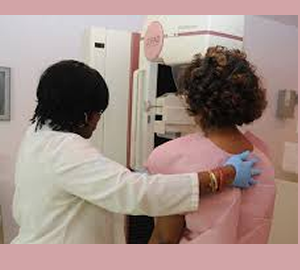 Have been diagnosed with ductal carcinoma in situ (DCIS) or lobular carcinoma in situ (LCIS). These conditions are considered to be “pre-cancers” because they stay in place and do not spread to surrounding tissues. Further counseling about special screening and risk-reduction options, if you are found to be high risk. Two or more family members on the same side (your mother’s or father’s) have been diagnosed with breast and/or ovarian cancer. Your affected relative(s) is your first-degree relation (mother, sister, daughter). 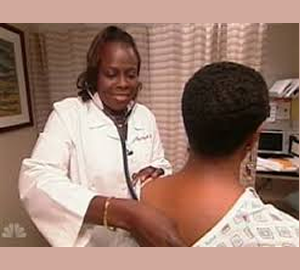 Any relative had cancer more than once, had breast cancer in both breasts, or has had both breast and ovarian cancer. You are of Eastern European Jewish ancestry and have had breast or ovarian cancer, or a history of breast or ovarian cancer in close relatives. A close relative has had male breast cancer. 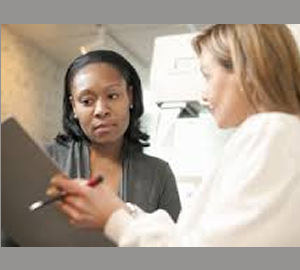 To fully understand whether or not you might be “high risk,” you need to go through a formal risk assessment process with a genetic counselor, a health professional specially trained to provide information and advice about inherited conditions.